It all started as a cold. Satyajith had trouble breathing from his nose, and Sushma decided to take him to an ENT to get checked. When the doctors suggested he needed a small surgery to make it easier for him to breathe, Sushma and Manoj weren’t too worried. Little did they think that their healthy and active child would soon be fighting the biggest battle of his life. Sushma and Manoj work in an Ayurvedic centre. 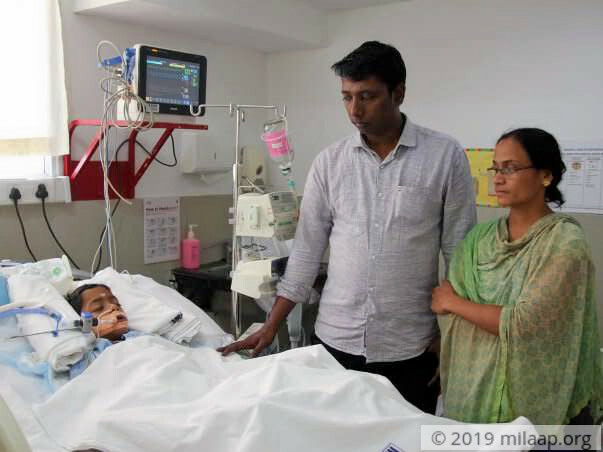 Satyajith’s condition has not only mentally and emotionally exhausted them, but they don’t even have the means to continue his treatment any longer. 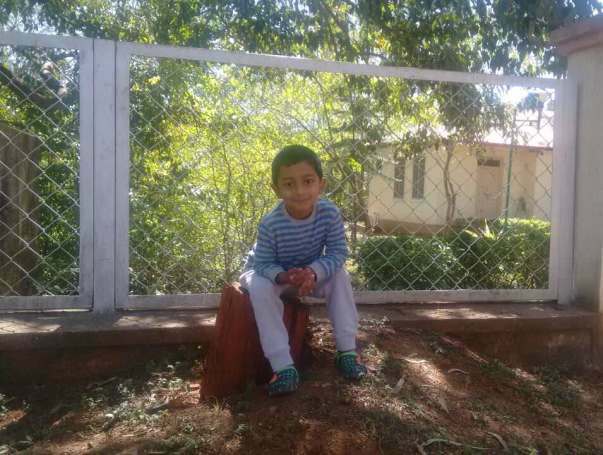 They’ve already spent Rs 9 lakhs on his treatment so far with the help of family and friends. However, it’s not enough. 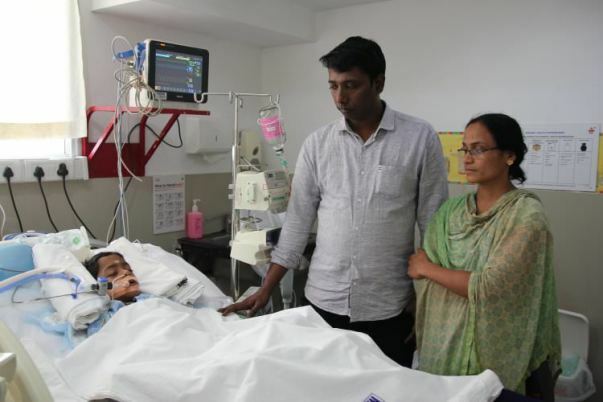 Satyajith needs to stay in the ICU under strict medical attention and care for the next 3-4 weeks, for which his parents will need 10 lakhs, an amount too large for them to afford. 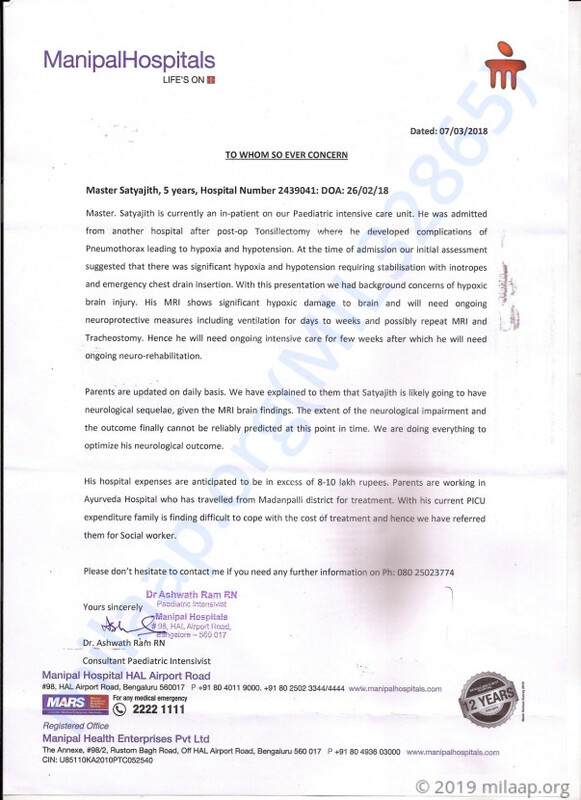 Satyajith has severe brain damage and needs to stay in the ICU till he stabilizes. 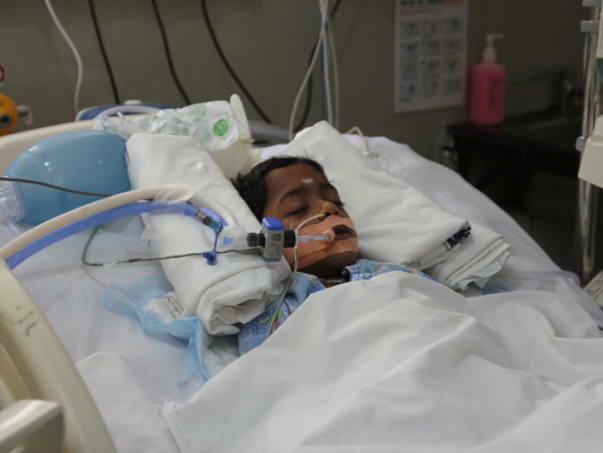 He’s still on the ventilator support and to stop that will lead to completely damaging his brain. 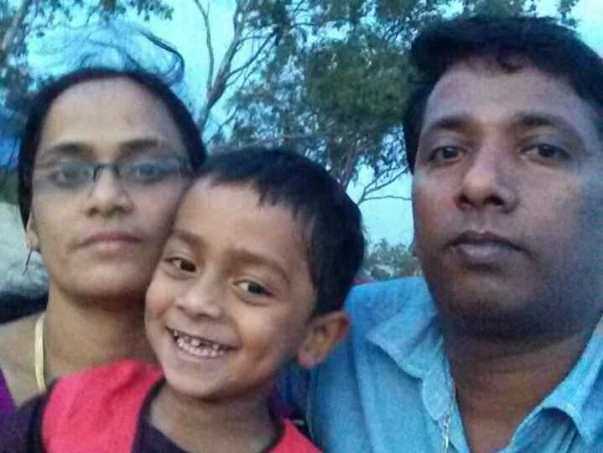 His parents have done all they can to save their son, but now, they’re helpless. Satyajith can be saved with further hospital care and he needs all the help he can get to make it. His distraught parents plead for your support. 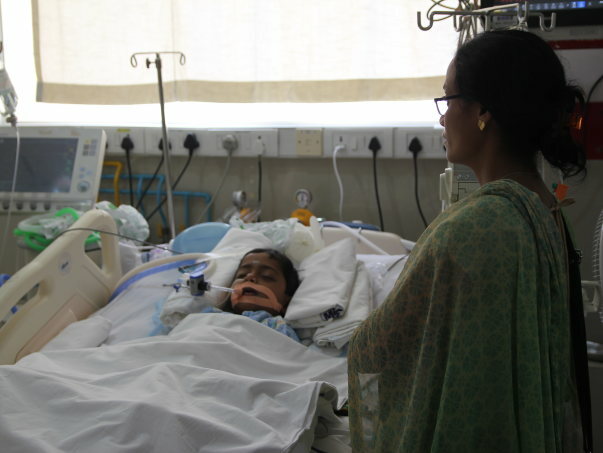 Your support will save Satyajit’s life. Thank you so much for the support you have shown towards Satyajith so far. Master Sathyachith is doing well, day by day he is improving lot, slowly the body movement is improving. There are regular followups going on with the doctors. We are very hopeful for his complete recovery and will keep you posted.